A part of the Generosity Series, the STOKED 5K will take place on May 19, 2019 in Prospect Park, Brooklyn. You don't want to miss this amazing event featuring a live DJ, pre-race warm-up & stretch, a professional announcer, one-of-a-kind STOKED event gear and just an amazing time with friends, family, neighbors, co-workers and other charitable individuals like yourself. 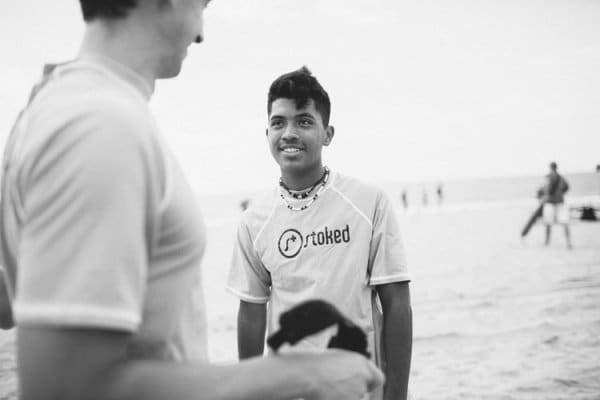 STOKED is a private not-for-profit 501(c)(3) tax-exempt organization. Our mission is to create a community of fearless leaders through mentoring, opportunity, and action. Our vision is to close the opportunity gap for low-income youth through action sports mentoring in skateboarding, snowboarding, and surfing. We promote academic and personal success by teaching life skills, building resilience, persistence, and self confidence. We have served over 5000 youth since our founding in 2005. Our objectives are measured by the following outcomes: (1) to develop 21st century skills in communication, collaboration, creativity, and critical thinking through project-based learning activities, (2) to develop college and career readiness skills through leadership activities, peer and group mentoring, and (3) to increase student engagement in school and/or community through community service and sports mentoring. These outcomes are achieved through vibrant partnerships with high schools and professional organizations.